It’s a stunning vocal marathon, with riveting intensity. 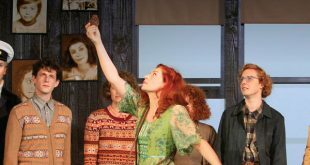 You owe it to yourself to experience the vocal grandeur and blazing drama of this passionate heroine. The Rat Pack is Back in its fourteenth years with over 4, 500 shows performed in over 34 states, 3 foreign countries with million excited audience around the world. 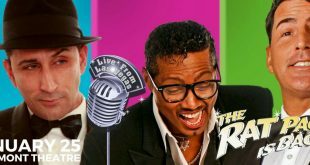 The show’s cast is hailed as one of the best performers in business – The next best thing to seeing the original Rat Pack! 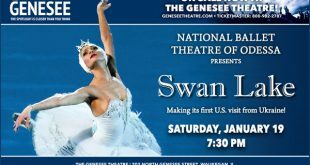 The legendary National Ballet Theatre of Odessa presents Swan Lake, one of the greatest classical ballets of all time. Based on Russian folklore and German legend, this enchanting story of true love follows a courageous young prince as he works to free a beautiful swan maiden from an evil spell. 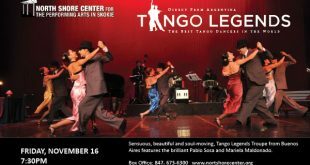 Renowned Argentinian dance company, Tango Legends from Buenos Aires, is coming Chicago! This magnificent, passionate and astonishing world-class experience will leave you breathless. 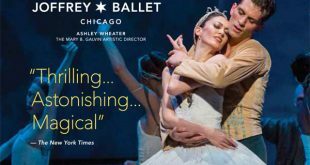 Art intertwines with life in Wheeldon's modern re-telling of one of the most famous ballets of all time. Set in the studios of the Paris Opera Ballet, a company dancer falls in love with his beautiful partner, a star ballerina who is being pursued by an arts patron with bad intentions. The internatonal Irish dance phenomenon is back by popular demand in Riverdance - The 20th Anniversary World Tour. 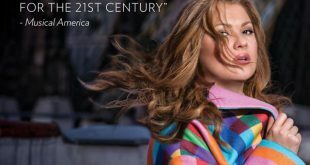 Join Lara Fabian as she launches her Camouflage World Tour in the U.S. in February with a stop at the Copernicus Center in Chicago on Friday, February 9. 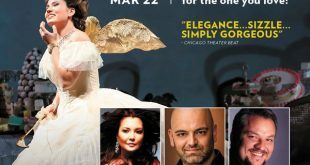 Lyric is proud to present world-renowned tenor Piotr Beczała, one of the most sought-after artists of our time, in an intimate recital at the Lyric Opera House. Own the moment as we countdown to the New Year and celebrate everything that made 2017 lit. DJ provides beats all night and we're pouring endless drinks until it's 2018. Turandot, Puccini’s final opera and one of the biggest blockbusters in the repertoire, transports us to a fantasy of ancient China. There the regal, forbidding Princess Turandot poses three riddles to each prince who wishes to win her — but anyone who fails to answer correctly is executed. Prince Calaf does answer correctly, and he declares that he’s willing to die if Turandot finds out his name by dawn. The plot unfolds to music of extraordinary brilliance, including “Nessun dorma,” the most popular of all Italian tenor arias! 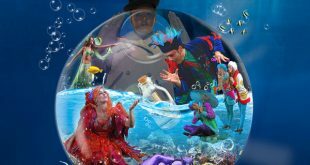 For sheer transcendent beauty, Bizet’s The Pearl Fishers has few rivals in the entire repertoire. The opera’s famed duet for tenor and baritone is a soaring melody that has turned countless opera newcomers into ecstatic fans. Bizet (who composed this work 12 years before Carmen) transports us to Ceylon, where two devoted friends find themselves in love with the same woman, an entrancingly beautiful priestess, Leïla. 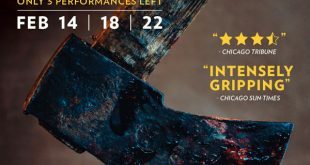 GLORY 44 returns to Chicago with two world title fights! The world's premier kickboxing league will once again visit Sears Centre Arena for GLORY 44 Chicago and GLORY 44 Superfight Series on Friday, August 25th. Witness the world's most elite kick-boxers gather for an unforgettable night of standup combat.